Summer, it’s been one helluva party. But farewell for now, cause hunting season is upon us. 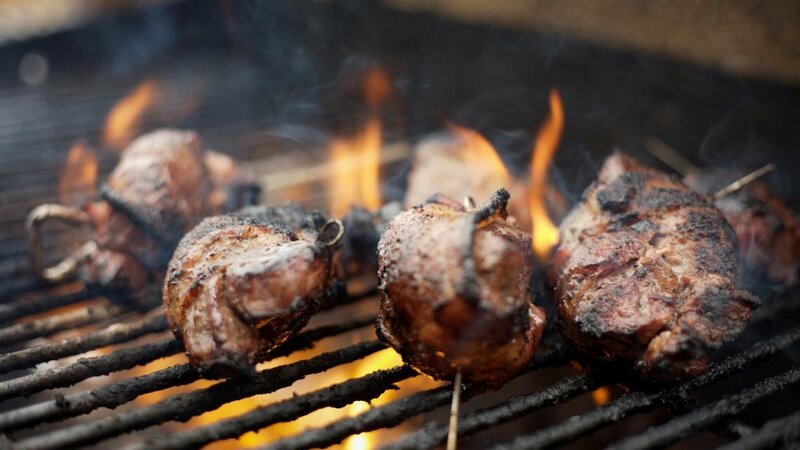 To celebrate, check out these wild game recipes for Labor Day weekend. Whether you’re hosting a cookout, dinner party or tailgate (the opening weekend of college football season is just days away), we've curated some grill-friendly, lawn-party-perfect wild game recipes for Labor Day weekend. Meatballs are one of the most versatile things you can make with ground venison for several reasons: They can serve as appetizers, the main course or as an addition to pasta. Here’s a great recipe from Camp Chef for grilled venison meatballs stuffed with basil and mozarella. For recipe instruction, go here. As many months have passed since your last deer hunt, maybe you’re flat out of venison. If that’s the case, how about some wild turkey nuggets, fried up nice and crisp? It’s simple and frying wild turkey breasts fast at high heat locks in moisture. For recipe instructions, go here. The bourbon-maple gravy used for the venison rolls is a recipe posted by the brilliant Hank Shaw. He adds Tabasco to his gravy, while I opted for horseradish (which I highly recommend). Either way, without some heat, the gravy is rich and sweet— arguably too rich (like, chocolate fudge-rich). The heat offsets the sweetness and makes things balanced in a way that really complements the rare venison meat. For recipe instructions, click here. Here’s a venison burger recipe that outsmarts the lean-meat patty problem. It involves an egg, flavored bread crumbs and two little twists on tradition. Of course, nothing elaborate is necessary when cooking shish kebabs. If you prefer, you can just thread the food on the skewer and place it directly on the grill or on a cooking grid over a campfire. To prevent the meat from sticking, I like to first rub the cooking surface with olive oil or a piece of bacon. And though some prefer to cook meat and vegetables threaded alternately on each skewer, I prefer to keep meat and veggies separate so each can be cooked to the proper doneness. Still, there is an art to tasty kebabs that involves the right ingredient combinations to enhance flavor and tenderness. If you're looking to ratchet up your kebab game, check out not one, but four — that’s right four! — shish kebab recipes here. For more wild-game recipes, visit our page featuring Wild Eats.